The Antipersonnel Obstacle Breaching System is an explosive line charge system that allows safe breaching through complex antipersonnel obstacles Developed for the U.S. Army Engineer School, MANSCEN, Fort Leonard Wood, MO, the Antipersonnel Obstacle Breaching Systems (APOBS) is used to conduct deliberate or hasty breaches through enemy antipersonnel minefields and multi-strand wire obstacles. It is light enough to be carried by two soldiers with backpacks and can be deployed within 30 to 120 seconds. The Anti-Personnel Obstacle Breaching System was fielded in late 2002, after eight years in development. The self-contained system had been in increased demand by specialforces units because it can breach minefields or wire obstacles within a relatively short period of time. It allows Soldiers to conduct deliberate or hasty breaches through enemy antipersonnel minefields and multi-strand wire obstacles. 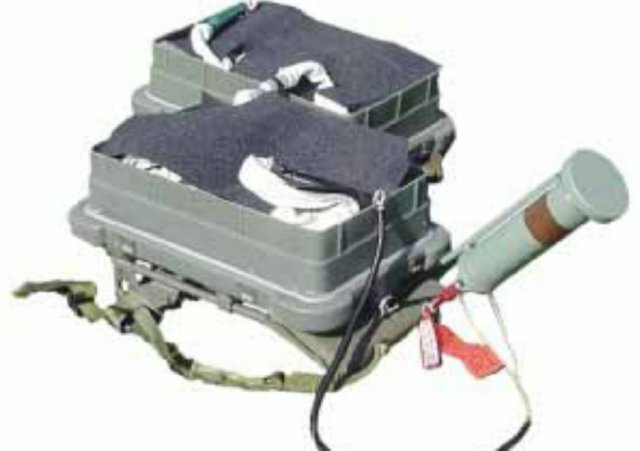 The APOBS is made up of a front and rear backpack subsystem containing grenade-filled, line-charge segments; a detonation cord to ignite the grenades; a drogue parachute that provides stability during flight; and two quick connectors. Additionally, a rocket-motor assembly provides Soldiers the option to initiate the APOBS in delay or command modes. APOBS' predecessor, the Bangalore torpedo, is 325 pounds heavier, takes significantly longer to set up, and cannot be deployed from a standoff position. In addition, two Soldiers can set up the new system, as opposed to eight for the old system. And the team can transport the breaching system and carry their weapons at the same time. 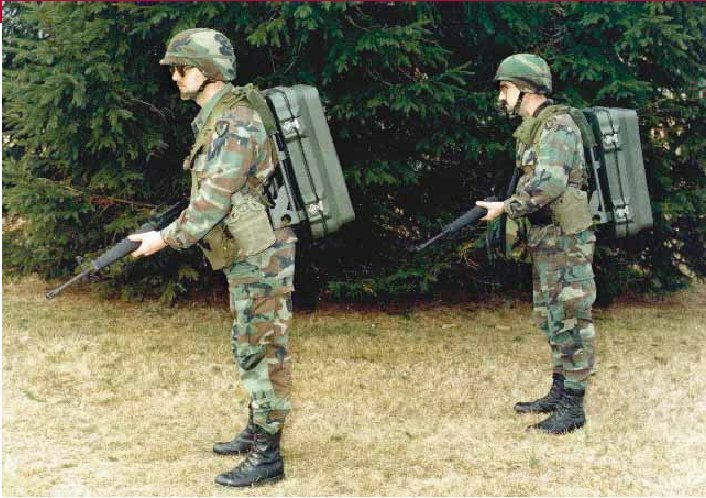 At the breach location, the Soldiers can open the backpacks, connect the line charges, emplace the rockets on the launch rod, aim and fire the APOBS system. They don't have to go through a minefield or encounter enemy fire. Soldiers in Iraq had received nearly 800 breaching systems by late 2003. Once set in place, the APOBS rocket is fired from a 35-meter standoff position, sending the line charge with fragmentation grenades over the minefield and/or wire obstacle. The grenades neutralize or clear the mines and sever the wire, effectively clearing a footpath for troops up to 45 meters in length. The APOBS replaces the Bangalore Torpedo, which is 320 pounds heavier, takes significantly longer to set up, and cannot be deployed from a standoff position. It also reduces the number of soldiers required to carry and employ the system from 12 to 2. Armed with APOBS, soldiers or Marines will benefit from the following features of the lightweight 125-pound system: Delay and command firing modes; Deployable within 30 to 120 seconds; Deployable from a 35-meter standoff; Clears antipersonnel mines and complex wire obstacles; Clears a footpath 0.6 to 1.0 meters by 45 meters. As a certified insensitive munition, APOBS is safe to employ and transport.